Trailer hitches can be difficult to choose from. There are seemingly endless options to choose from, each with its own class, capabilities, instructions, and guidelines. There are different types of mounts, wiring systems, adapters, extenders, etc. to add to your already confusing world of trailer hitches. However, because every vehicle and trailer situation requires a specific hitch, the parameters for choosing a hitch are usually already set for you. It is just a matter of finding the perfect brand with the perfect offer for you, balancing quality with value, and making an informed decision about what is best for your and your towing scenario. Finding the right trailer hitch for your towing situation is crucial for a seamless, smooth, and safe towing experience. The right hitch can help you to better enjoy your lifestyle, enabling you to tow your boat to the water for a weekend of fun at the beach, tow your camper to the site for a hiking vacation, or even making your job towing industrial equipment that much easier for you. The right trailer hitch for you will give you all the freedom to pursue what you enjoy in life and the peace of mind that comes with knowing that you are safely towing your trailer. With a strong, dependable hitch tailored to your needs and the needs of your vehicle, you are on your way. Here is a list of the top ten best hitches to help you find what fits your needs and make an informed decision. This model is by far the best option when seeking a versatile, dependable trailer hitch. 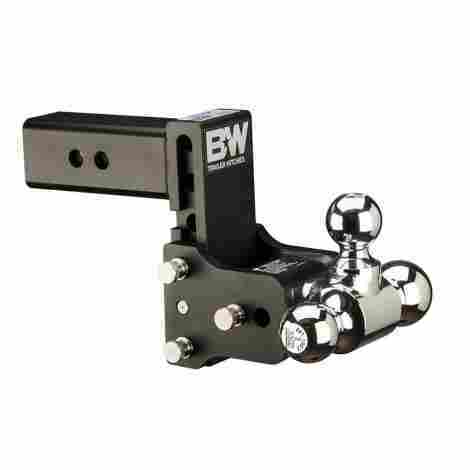 This mount comes with three different ball mounts in different sizes, fits a standard two inch receiver hitch, and allows for up to five inches of drop space. All in all, this is great option for novices and experienced tower. Because this model comes with three different ball mount options, you will rarely need to switch out this hitch for another model. You are able to easily rotate the ball to your desired state, effectively rendering the need for replacement ball mounts irrelevant. This hitch does not stop with different ball mount options. It is fully adjustable, allowing it to stand at a range of different heights, giving you up to five inches of drop space. The options are endless! This hitch comes in at a relatively average price. For the options you get, the price is certainly more than fair. Especially because you really will only need this one hitch for just about any application you choose, it is certainly a sound investment. It can also be good for beginners, seeing as how one hitch will get every job done. 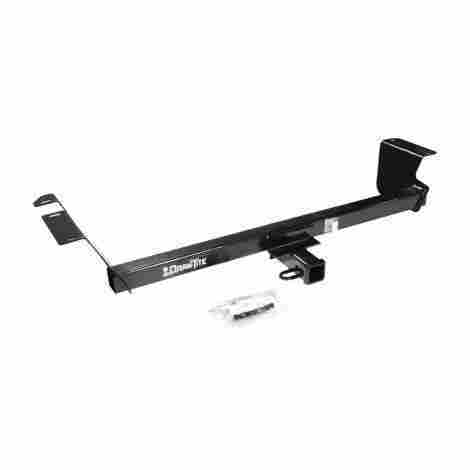 This popular receiver hitch is made specifically to fit individual vehicles. Being that it is a class III hitch, it is designed for SUVs and trucks, so it is necessary to take that into account when purchasing. All parts of this design are welded into place, making everything reinforced and strong. There is absolutely no drilling needed when installing this hitch. Because it is designed with specific vehicle specifications in mind, there is no need to drill it into place, making installation a breeze. Each hitch is painted with a durable powder coat, ensuring that they will stand up to the elements. These hitches are designed to be powerful, strong, and to have almost limitless capability (up to 3,500 pounds!). This hitch is priced competitively. For a class III hitch, this a great bargain! The power that you are getting for the price is relatively unmatched. This is a great option for someone who wants to keep costs low but does not want to skip out on a powerful hitch. If you want a no-nonsense hitch that will get the job done, you have found it. This hitch has two options for ball mounts, able to tow 8,000 pounds and 10,000 pounds respectively. Additionally, the surface has been polished to ensure that there is no rusting, chipping, or peeling on the surface of the hitch. This hitch is easy to adjust. All you have to do is take out one pin, adjust to your desired height, and put the pin back into its place. It is as easy as that! Because this hitch is made from aluminum rather than steel, it is not necessary to paint or cover it. Aluminum can withstand the elements, such as rain and snow, dirt, debris, and salt. Additionally, unlike steel, aluminum is much more lightweight and can be transported much more easily. While not the most affordable option on the list, this hitch is priced well for the options that it includes. It will likely stand up well over time and not need replacing for a while, making the investment worthwhile. 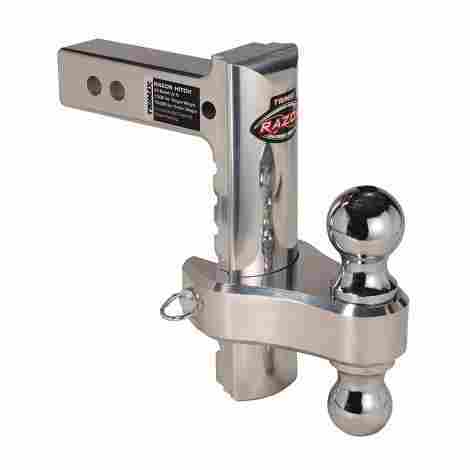 This hitch will come in handy if you have to regularly tow different types of trailers or trailers of varying weights. Switching between mounts can be difficult, but this hitch is your solution. Everything about this is adjustable, even supporting two different ball measurements. This hitch has all the options you could need. With two different ball mount measurements and adjustable height, this hitch can accommodate all of your towing needs with ease. 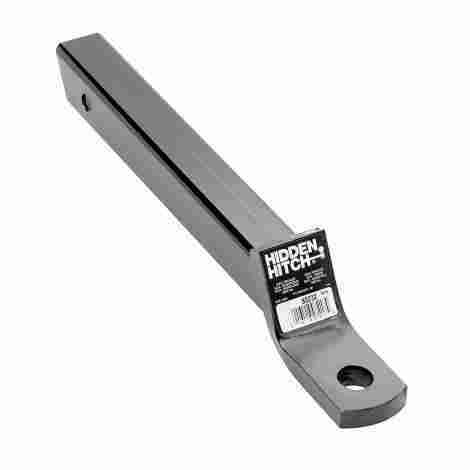 These hitches are made from steel, providing your vehicle with the support that it needs to get the job done. Additionally, it is painted with a powder coat to stave off rust and scratches. This coat also ensures overall quality. For so many options available through one device, one might imagine that this hitch costs more than it does. However, it is priced reasonably for the convenience that it provides. This is a great hitch for novices and advanced towers alike. It comes with the complete package; everything you need to get on the road is included, making installation that much easier. Everything is fully adjustable, taking the headache out of towing. The standout feature of this hitch is its adjustability. This hitch ranges in drop heights from as little as four inches to as many as ten, ensuring that you have options when it comes to towing. This can make it yet another good option for beginner towers who may want to avoid a steep overhead entry price into the field. Everything you need is already included, including a duel pin lock system to provide you with the security you need when you are on the road. This design comes in as a more pricey option, but it will certainly last you a long time. Additionally, it comes with additional hardware that was not provided in other models, so taking that into account, it is still relatively affordable. All things considered, this is an excellent bargain! This hitch is known for its safety, boasting that it has either met or exceeded all safety regulations in place. Its durable build allows it to take a beating while on the road and emerge on the other side without a scratch. Installation could not be easier, and no drill is necessary. 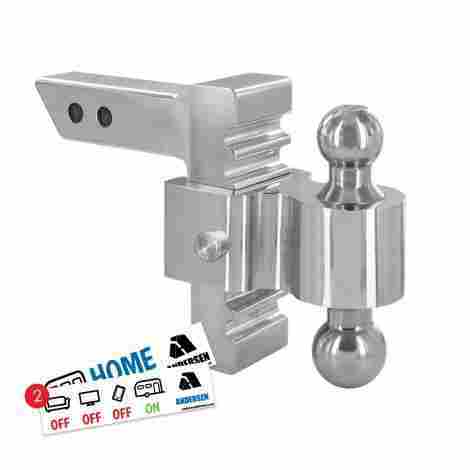 All hitches of this type are welded meticulously to ensure that all safety codes are met and the hitches themselves are as reinforced as possible. They are also routinely tested to be sure that all safety guidelines are followed. That meticulous welding has made sure that these hitches will not back down from a fight. They are designed to take a beating and withstand any obstacle that may be encountered while towing. This hitch is such a steal! It is priced competitively and it is almost too good of an offer to pass up on. For a class III hitch, this Reese model knocks it out of the park and asks only for a reasonable sum. This design embodies the phrase “tiny but mighty.” This hitch is simple, small, and easy to conceal. It might just be the smallest class III hitch that exists! A lifetime warranty is available and it can be made to fit your specific vehicle and suit your needs. Each hitch of this kind is built to specific vehicle specifications. Not one is the same as another. Every make and model is taken into careful consideration. It also appears to be very inconspicuous when attached to a vehicle. This little guy may look small at first, but he can keep up with the other class III hitches like it is nothing! He can tow a maximum of 6,000 pounds which is no small amount. With a one inch ball hole, he might be just what you need to get the job done. Because he is so small, this hitch is on the much more affordable end of things. This could be a great addition to the rig of an amateur tower due to its relatively small overhead cost, but because of its towing power, it could also fit in with a more experienced tower. This class III hitch is verging on class IV, so keep that in mind before purchasing. 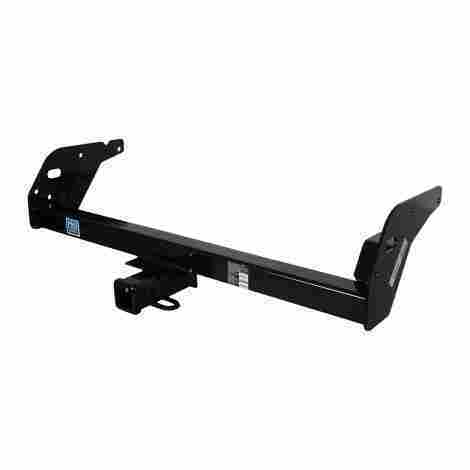 This hitch is designed for larger jobs, which can make it ideal if you are towing with a larger vehicle and need something on the larger end of class III. They are also designed with the help of computer software, ensuring they are built perfectly each and every time. With the help of computer software, these hitches are designed to custom fit many different makes and models of vehicles, from trucks, SUVs, and vans to more heavy duty applications. Every model specification is followed to to the letter, ensuring the perfect fit for you vehicle, no matter what it is or when it was built. When you have the support of a company behind you, it can make your towing process feel much more relaxed. Knowing that, if anything were to go wrong, your manufacturer would be available to help make it right can take the bulk of the worry off of your shoulders. This can create a more positive experience for you as well as the manufacturer. This hitch model boasts a simple, straightforward design that is great for the beginner to begin towing, able to withstand up to 10,000 pounds of weight while towing. This is a plain and smooth hitch, operating as expected. It is easily adjustable, resistant to rust, and can handle a good amount of weight. This hitch can be adjusted in one inch increments up or down, enabling it to be raised or lowered by eight inches total. This provides you with many options when it comes to towing. Additionally, there are two ball measurements, giving you even more flexibility when towing different types of trailers, boats, or other mechanisms. Because this model is made from aluminum, it staves off rust and scratches like a champ. It is also much more lightweight than its steel counterparts without sacrificing strength. It blends in nicely with all types of vehicles. For the simplicity of the product, this price is a bit higher than some more effective models. That being said, this is a higher weight class and, therefore, it is going to come with a higher price tag. If you are a novice with towing, you may find this helpful and worth the investment as you continue to gain experience with towing. This type of hitch puts craftsmanship and quality above all else. These custom hitches are welded for security and safety, as well as tested thoroughly to ensure that all safety protocol was followed completely. This hitch is backed up by excellent quality standards and impeccable workmanship. Each and every hitch is meticulously inspected for any potential flaws or errors in production. Only after passing inspection are they sold for towing. They are designed to fit perfectly in any given vehicle, regardless of make or model. Additionally, they are designed so that installation is easy and the hitch can be attached with minimal effort on your part. Because these hitches are tested so painstakingly, they are as safe as can be. They exceed all safety expectations and pass each test with flying colors. They are also all painted with a protective coating to ensure their quality, furthering their reliability. For all that you are getting for what you are paying, this hitch is a great value. It is definitely not the least expensive on the list, but it is a strong contender for the “best value” prize! If you are looking for something reliable, dependable, and without a large overhead cost, this is a good option. While the vehicle that you drive and the trailer that you tow will have most of the say in what kind of hitch you need, the sheer number of hitches that are available can seem daunting. There are many different breeds of trailer hitches available on the market and they all offer different benefits and have different features. One of the most common types of hitches available on the market currently is called a “receiver” hitch, which is designed to be mounted on the vehicle doing the towing. 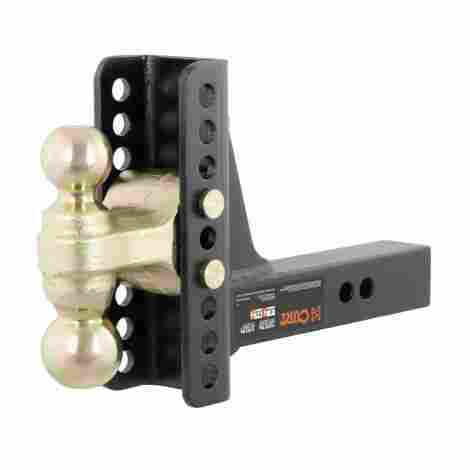 This provides an area to place the ball mount or another form of mount. 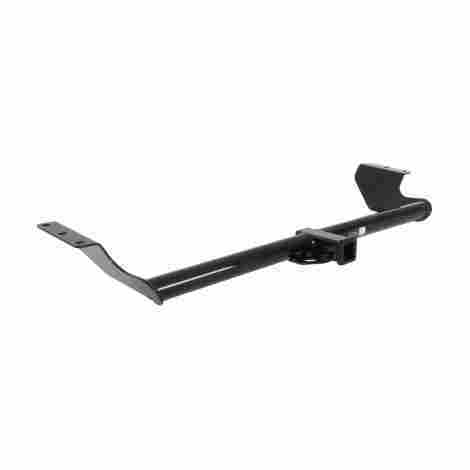 Receiver hitches are designed with specific vehicle frames in mind, so you must purchase the one designed for your specific vehicle make and model. 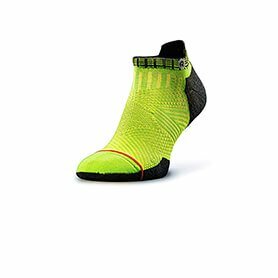 They are not universal, and this can be their biggest downfall and can make them potentially difficult to buy from online sellers. They are typically divided into different classes, number one through five, based not only on capacity, but also on the size of their mount opening. 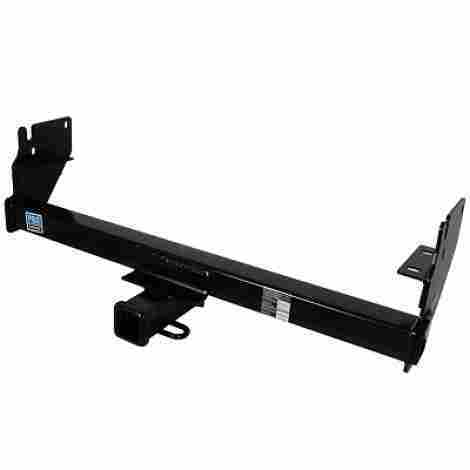 There are also classifications of receiver hitches that do not fall into these categories, such as bumper hitches, front mount hitches, 5th wheel hitches, and other specialized hitches. Capacity plays a huge role in deciding what hitch is best for your towing scenario. You always need to consider how much your trailer weighs as well as how much your vehicle is able to tow. The best way to determine the towing capacity of your vehicle is to look into your owner’s manual. This will usually give you a detailed set of parameters and limitations for towing with your vehicle, as well as its capacity and tips to ensure that you are towing safely. If, for whatever reason, you have misplaced your owner’s manual, many car manufacturers have made their manuals available for a free download via their website. There are many terms that come into play when discussing towing capacity, largely having to do with the different ways of measuring and discussing the towing capacity of a vehicle. In order to ensure that you do not overload your vehicle, use these descriptions as a guide. Gross Vehicle Weight Rating: This is the total loaded weight of your vehicle at maximum, usually decided at the recommendation of the manufacturer. If you attempt to load excess weight beyond this maximum onto your vehicle, it could cause systems to potentially fail. Gross Axle Weight Rating: This is the total weight that can be placed on your axles, both front and rear, at maximum. These ratings are given to each axle independent of one another. If you attempt to load excess weight beyond this maximum onto your vehicle, it could cause systems to potentially fail. Gross Trailer Weight: This is the total weight of your trailer that you are towing, as well as the added weight of the cargo you are towing. This can be determined with the use of a scale. Tongue Weight: This is the force of downward pull that is exerted on the back of your vehicle by what is being towed, such as a trailer. This is mostly affected by the placement of the cargo within the trailer. The tongue weight is important to note because it can greatly affect the control of the towing vehicle. Ease of installation can be a huge factor when making the decision on the right hitch to buy. 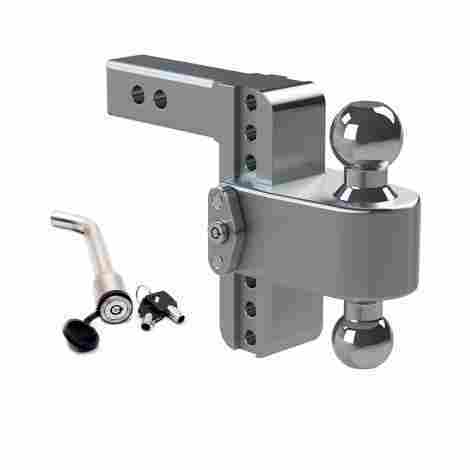 The vast majority of these hitches involve little to no drilling, meaning that the hitch and the hardware that it comes with are designed to specifically fit the frame of the vehicle and attach via the holes that are already there. This can make the installation of your hitch very easy, but as with any installation job, you should always have patience, access to resources, and the right tools at hand. Before you buy your hitch, it might behoove you to research the installation process more in-depth, either through a document found online or a video. This can help you to decide if you can handle the process on your own, if you will need an extra set of hands, or if you will need your hitch to be professionally installed. If you find that you do not have access to the tools necessary for the job or do not have faith in your ability to install your hitch yourself, you may consider a professional installation. Remember: every hitch is different, and the tools that are needed in each installation will be different. Before you begin an installation project, always read through instructions in order to determine the process and what you will need to complete the project. Never feel the need to “do it yourself” if you doubt your skills; a professional installation is a valid option at all times. Before you can be street legal with your trailer in tow, you must have working brake lights on your trailer. These need to be connected to your vehicle and working in tandem with the lights on your vehicle. Not only will functioning tail lights, turn signals, and brake lights help you avoid being pulled over, but they will also help you to convey your intentions on the road to other drivers and help you to stay safe while towing. If your vehicle has not come equipped with a connector, you can choose the custom wiring route. Custom connectors are available and made to be tailored to your vehicle and towing scenario. These connectors act as a liaison between the wiring system of your vehicle and the wiring system of your trailer, allowing them to work as one, cohesive unit. If you are having trouble with the wiring of your vehicle or your trailer, you may be experiencing a bad ground connection. This can appear to be a complete failure of the lighting system, even if a voltmeter reads that you have a charge. A bad ground connection can also lead to light flickering due to intermittent failures. When you mount your ground wire, make a point to choose a preexisting factory connection. Alternatively, you can use a bolt to mount a wire directly to the chassis of your vehicle. Q: How do I choose the right trailer hitch class? A: Trailer hitches are assigned a rating, or “class,” based on how much weight they can reasonably tow on a scale of one to five, one being the least amount of weight and five being the most. Considering both the vehicle and trailer weight, these classes can help you decide the right one for your situation. Class I trailer hitches are able to carry the lightest weights, usually not surpassing 2,000 pounds of gross trailer weight (GTW) and not more than 200 pounds of tongue weight (TW). A typical load that a class I hitch might tow would be bicycles, kayaks, scooters, or small types of trailers. Vehicles such as cars, SUVs, and minivans can easily make use of class I hitches. Class II hitches can carry everything that class I can, able to tow up to 3,500 pounds of gross trailer weight (GTW) and up to 525 pounds of tongue weight (TW). Everything that a class I hitch can tow, a class II can as well, in addition to small campers (largely popup models), small trailers, and small boats. Vehicles such as mid- to full-size cars, minivans, and SUVs can employe class II hitches. Class III hitches can tow up to 8,000 pounds of gross trailer weight (GTW) and up to 800 pounds of tongue weight (TW). Everything that a class II hitch can tow, a class III hitch can tow as well, but the trailers can be much more substantial in this class, including mid-size campers, motorcycles, snowmobiles, and utility trailers. However, this hitch cannot accommodate cars of any size, as the weight they can tow far outweighs the weight of the car. Only larger sedans, SUVs, and trucks should employ this type of hitch. This class has a wide variety of capacities, so be sure to research your individual hitch to be sure that it meets the needs of your situation. Class IV hitches can tow up to 12,000 pounds of gross trailer weight (GTW) and up to 1,200 pounds of tongue weight (TW). Only large SUVs and trucks should use this class of hitch. This class can tow fairly large trailers, such as large campers, toy haulers, and large boats. They can also accommodate for cargo carriers, bike racks, and ball mounts in order to tow other things. Class V has the most towing capability of any hitch class, able to tow up to 20,000 pounds of gross trailer weight (GTW) and up to 2,000 pounds of tongue weight (TW). These are typically used for commercial towing projects, multi-car trailers, large toy haulers, and equipment haulers. They are only to be pulled by heavy-duty trucks or commercial trucks. Q: What is weight distribution? A: A weight distribution system allows the bulk of the weight of towing to be taken off of your hitch and instead distributes it between the tow vehicle and the wheels of the trailer. This primarily affects the tongue weight (TW), allowing it to be carried by the axles of the vehicle and the trailer in tandem. It may help to imagine the system as a bridge that connects the vehicle and the trailer. These weight distribution systems are common in classes III, IV, and V. They are crucial in order to prevent the dreaded “sag” in your vehicle, potentially leading to failure, and also to maintain control and handling capabilities. Q: Do I need to worry about trailer wiring? A: Only certain vehicles need to be supplied with a powered converter in order to route power to your trailer and its wiring system. Vehicles that need an outside powered converter tend to have one of the two issues: 1) the lighting system within the vehicle is powered via a computer or 2) the wiring system within the vehicle simply lacks the power to supply power to both itself and the trailer lights. If your vehicle requires an outside converter, manufacturers will usually be able to tell you this. Additionally, they will likely supply you with instructions and time estimates for installation. Installation by a professional is also an option. Q: How do I convert two different lighting systems? A: If you find that you cannot apply a custom wiring system to your vehicle, a converter can help to equip your model with the proper connection. A tail light/electrical converter is designed to convert your vehicle’s wiring system into something that is compatible with that of your trailer. Many vehicles have a complex wiring system, such as a “three-wire” or “PWM” system. Trailers are usually much more simple, typically consisting of a “two-wire” system. This can lead to a potential disconnect between the two systems, leaving them unable to understand one another. A tail light/electrical converter can help to bridge the gap between these two systems, helping them to be compatible with one another, and allowing you to connect both the vehicle and the trailer via a standard socket and plug operation. Different trailers are equipped with different types of plugs based on the electrical components that they possess, and if you find that there is a disconnect between the plug and socket as well, there are also adapters for this problem as well. An adapter allows a socket and plug that would typically be unable to connect to form a connection via the adapter instead of directly with each other. Check with your manufacturer to find out what plugs/sockets your vehicle/trailer is compatible with and if you may need an adapter.